« Can band members sue for wrongful termination? I was confident that the matter would be reversed on appeal, and I was looking forward to the Court of Appeal’s opinion, not just for the benefit of the client and my own vindication, but because until the Court of Appeal instructed Judge Symons on fundamental evidentiary law, a lot of parties in her court were going to be deprived of justice. At the oral argument on the appeal, it was clear that Esquire was going to prevail, so the parties entered into a settlement, and filed a Notice of Settlement with the Court of Appeal. That was great for Esquire, but bad for anyone who might subsequently appear in front of Judge Symons, since she would receive no indication of her errors. In the case of Ebensteiner Co. v. Chadmar Group (2006) 143 Cal.App.4th 1174, the court held that “A valid settlement between the parties renders the appeal moot to the extent that it ‘effectively extinguishes the judgment from which the appeal is taken,’ ending both the dispute and the possibility of further, effective relief from the court.” Thus, by settling the case before the opinion was issued, our performance on the case would never be vindicated, and Judge Symons would presumably continue to make the same evidentiary mistakes. I was crestfallen that pursuant to Ebensteiner Co. v. Chadmar Group, we would never have a published opinion on the important issues raised by the trial and appeal in this matter. The Court of Appeal explained in detail where Judge Symons had gone wrong, referring to her reasoning as “perplexing”. Where Judge Symons had gone wrong was with the application of Evidence Code sections 1552 and 1560-1563, and on the admissibility of indirect evidence and the inferences that are to be drawn therefrom. A printed representation of computer information or a computer program is presumed to be an accurate representation of the computer information or computer program that it purports to represent. This presumption is a presumption affecting the burden of producing evidence. It’s as simple as that. Anything you see on the internet is admissible under Evidence Code § 1552, so long as you are just offering it to show that it was in the public eye. In other words, if there is an article on the internet proclaiming that bacon is health food, you can’t offer that article as proof that bacon is healthy, but it is completely admissible to show that the article exists. When a plaintiff wants to sue for defamation for a false Yelp review, he must be able to introduce the Yelp review, just to show it was posted. Of course he is not claiming that the review is true – he’s claiming it was false and defamatory – but he must be able to show that it was published. At trial, defense counsel argued we could not introduce the Yelp reviews, because we had not listed anyone on our witness list from Yelp, and therefore had no means to authenticate those reviews. Judge Symons agreed, and excluded the Yelp reviews. When I explained Evidence Code 1552 to Judge Symons, her response was, “what do computers have to do with Yelp reviews?” I then explained that when someone looks at a Yelp review on their computer, they are seeing the information that is stored on Yelp’s computer servers, and hence a printout of a Yelp review is a “representation of computer information” and is therefore admissible under section 1552. Judge Symons offered no response, but rejected the reviews anyway. With its opinion, the Court of Appeal reversed her evidentiary rulings, and explained to Judge Symons that she was wrong, holding that the Yelp reviews were unquestionably admissible under section 1552, and that no one from Yelp was required to authenticate the records. The reviews are “self-authenticating,” requiring only that the plaintiff testify that she found the reviews on Yelp’s website. We had also subpoenaed from Yelp, AT&T and Comcast all the business records necessary to show that the false reviews had been posted from defendant’s home and business internet accounts. Evidence Code sections 1560, 1561, and 1562 set forth the procedure for subpoenaing business records, and provide that business records obtained under these sections are admissible and presumed to be accurate. Importantly, they provide that records produced under these sections with a proper supporting declaration are every bit as admissible as if the custodian of records was there to authenticate the records. All that is necessary under these sections is that the custodian of records provide a declaration, stating that the documents and information provided are business records, responsive to the subpoena. The records from Yelp established from which IP addresses the fake reviews had been posted, and the records from Comcast and AT&T showed that they were posted from Painter’s home and office. Judge Symons rejected all of these business records, finding that they were all hearsay. She ignored these sections and used a standard hearsay analysis, concluding that, for example, where the records indicated that the false Yelp reviews were posted from the defendant’s account, that was inadmissible hearsay. The Court of Appeal reversed her rulings, holding that the records were all admissible. Judge Symons ruled that the evidence could only be used to show that defendant posted the false Yelp reviews if we could establish that was, as a matter of law, the only inference that could be drawn from the evidence. Defense counsel conceded that the false Yelp reviews were posted from defendant’s home and office internet accounts, but maintained that since others had access to those computers, we could never prove beyond a preponderance of the evidence that he was the one who sat at the computers and made the postings. Judge Symons agreed. The Court of Appeal reversed Judge Symons rulings, and concluded that her view of the evidence was 180 degrees askew. In considering the admissibility of indirect evidence, she was required to resolve all presumptions, inferences and doubts in favor of plaintiff. The Court of Appeal held that Judge Symons had done precisely the opposite. She erroneously required that we prove the inferences were the only possible result, as a matter of law. The Court of Appeal used the Comcast records as an example. The false reviews had been posted from a certain IP address on a Comcast account belonging to the defendant. Before we were hired, prior counsel had subpoenaed the records from Comcast, but by the time they hit Comcast with the subpoena, the records for that specific date were no longer available. But Comcast could provide the records beginning 11 days later. Sure enough, 11 days after the false reviews were posted from the known IP address, that IP address was still assigned to defendant. The question was whether a juror could connect the dots and conclude that defendant had that same IP address 11 days prior, and therefore was the one who had posted the false reviews. Judge Symons ruled that we could never bridge that gap, even though our expert testified that the odds were one in four billion that defendant would just happen to get the same IP address 11 days later. The Court of Appeal reversed that ruling, holding that Judge Symons ignored the clear inference in favor of plaintiff. A jury COULD connect the dots and conclude that the defendant had posted the false Yelp reviews, and therefore all of the IP information was admissible. The verdict was completely reversed, and Esquire can now proceed to trial with a new judge. It is extremely rare (unprecedented in my 30 years of practice) for a Court of Appeal to render an opinion on a case that has been settled, but the Sixth District recognized the extreme importance of clearing up the evidentiary issues that had plagued the trial judge in this case. Hopefully this opinion will be instructively taken to heart by Judge Symons. 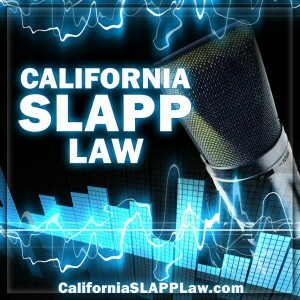 And fear not; in Episode 20 of the California SLAPP Law Podcast, we also discuss a couple of anti-SLAPP decisions in the context of these Evidence Code sections. We review the case of Fashion 21 v. Coalition for Humane Immigrant Rights of Los Angeles (2004) 117 Cal.App.4th 1138. That case also involved issues concerning the inferences that can properly be drawn from indirect evidence. In Fashion 21, the plaintiff clothing manufacturer sued an individual named Narro, claiming he passed out defamatory flyers about the company during a demonstration. Narro filed an anti-SLAPP motion, claiming that he had never passed out any of the allegedly defamatory flyers. On that basis he argued that the plaintiff Fashion 21 would never be able to meet the second prong of the anti-SLAPP analysis — more likely than not to succeed on the action — because it would never be able to prove that he passed out the flyers. The trial court and Court of Appeal disagreed, based on a video wherein Narro was seen holding a stack of the flyers, while people around him stood reading those flyers. The Court of Appeal concluded that a jury COULD conclude that Narro had been passing out the flyers, and that is all that is required to make the evidence admissible. That conclusion was to no avail for Fashion 21, because the Court of Appeal concluded that the flyers were not defamatory, but it held in clear terms that this sort of indirect evidence is sufficient. 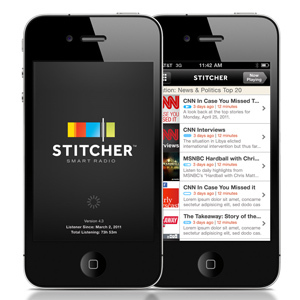 On the issue of admissibility of internet sites, we examine the case of Ampex Corp. v. Cargle (2004) 128 Cal.App.4th 1569. There, a company called Ampex sued an anonymous person who posted comments on a Yahoo discussion site. Ampex sued for defamation to learn the identity of the defendant, but the defendant Cargle said “here I am” and responded to the lawsuit with an anti-SLAPP motion. To satisfy the first prong of the anti-SLAPP analysis, he demonstrated that Ampex was a matter of public interest by attaching print-outs of the Yahoo site, showing that 112,000 comments had been posted about Ampex. Ampex decided to dismiss the action, but that left the issue of Cargle’s attorney fees for the anti-SLAPP motion, which mandated a determination as to whether the anti-SLAPP motion would have been granted if allowed to go forward. The trial judge denied the attorney fees, stating that he never would have granted the anti-SLAPP motion based on the print-outs of the Yahoo site, holding they were inadmissible hearsay. Apparently Judge Symons isn’t the only judge who doesn’t understand Evidence Code section 1552. On appeal, the Court of Appeal, verbally pulling out its hair, stated that OF COURSE the print-outs of the Yahoo pages were admissible. Cargle was in no way offering the documents to prove the truth of the matter asserted, so hearsay was not an issue. The Court held that the Yahoo documents were self-authenticating under Evidence Code section 1552, since they were offered only to show their existence in the public eye. On that basis, the Court of Appeal held that the anti-SLAPP motion would and should have been granted if the motion had gone forward, and ordered the trial court to award Cargle attorney fees.